Matcha ice cream was our first foray into homemade frozen treats, but it shall not be our last! We try not to go out to eat too often, but when we do, we almost always find ourselves ending the night at a bubble tea shop in Chinatown. It is there that I first had matcha ice cream (and matcha bubble tea), and there is no way we could afford to fund my matcha habit going out every week. Therefore, I had to bring this addiction home with me. 1. If you have an ice cream maker, don't forget to freeze the bowl 24 hours in advance! 2. In a medium saucepan, combine all ingredients and heat (stirring slowly with a whisk) until combined into a smooth green mixture. 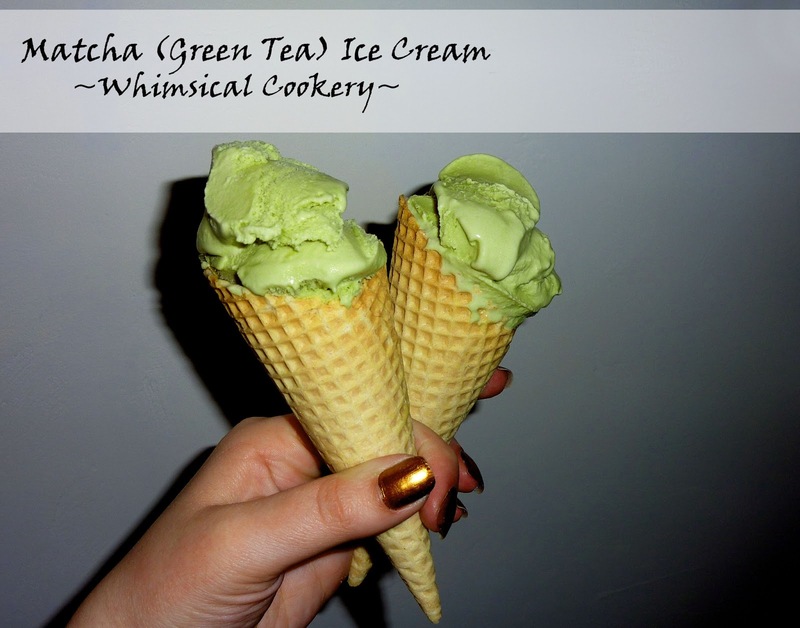 I would recommend adding 2 Tbsp of the matcha powder first and tasting as you add more. How delicate or how strong you want the matcha flavor is a matter of taste I suspect. 3. Once cooled, add mixture to your ice cream maker or a freezer safe bowl/storage to finish. Note: If you do not have an ice cream maker, make sure you stir it often as it freezes to break up the ice crystals.